Charuvarn was educated and worked in the U.S. in counseling before starting her communications career in Thailand with PRESKO (now Weber Shandwick). personally handled include Unilever, Siam Cement Group, Krung Thai Card, and Thai Military Bank. 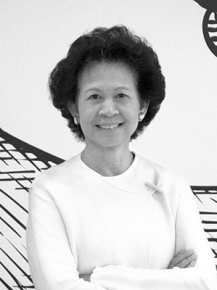 Over the years, her travel and tourism accounts handling include Cathay Pacific, Northwest, HKTA, Australian Tourism Board, The Oriental and The Peninsula hotels. In her present capacity, Charuvarn continues to be closely engaged with our business as well as helping to support LOWE SEA operations in Indonesia, Malaysia, Philippines, Singapore, and Vietnam.